It can be pretty easy to forget some small things with the busy lifestyles that we keep nowadays. We all have lost something essential time and time again- a wallet, laptop, or a briefcase maybe. But when it is your car keys that you happen to lose, life can easily come to a standstill. But do not worry; our mobile car locksmith Boksburg wide is available 24/7 to provide you with the most reliable solutions for your lock-related needs. Regardless of where you are located in Boksburg just get in touch with our office and our fully accredited locksmith will set out to come help you out. 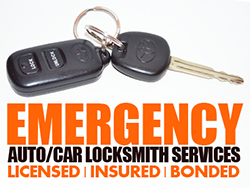 Our auto locksmiths offer quick assistance whether you are dealing with a broken or lost car key problem, or you have been locked from your car. We are key cutting experts for all kinds of locks, including cars of every model. Do not worry- get in touch with our locksmiths and we will provide the best solutions for all your lock-related problems. Our auto locksmith Boksburg team advises you get spare car keys so as to avoid the likelihood of losing your single pair and leave you with no access to your car. If you’ve a faulty lock then it is recommended you have it checked out immediately. Our specialists supply and install all kinds of motor locks, including boats and motorbikes. To start a certain car transponder keys utilize electronic chips. Should this chip be damaged, the car engine will not start. If unfortunately you encounter such a situation, you can give us a call at anytime and our reliable automotive locksmiths will help make a brand new transponder key set. Also, you can get in touch with our emergency call-out technicians if you’ve to go somewhere ASAP.